By 1514, the reclusive cleric Nicolaus Copernicus had written and hand-copied an initial outline of his heliocentric theory-in which he defied common sense and received wisdom to place the sun, not the earth, at the center of our universe, and set the earth spinning among the other planets. 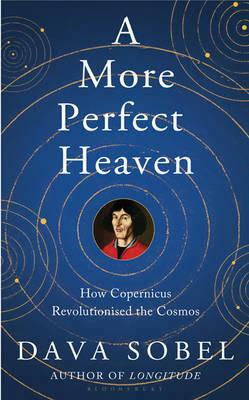 Over the next two decades, Copernicus expanded his theory through hundreds of observations, while compiling in secret a book-length manuscript that tantalized mathematicians and scientists throughout Europe. For fear of ridicule, he refused to publish. In 1539, a young German mathematician, Georg Joachim Rheticus, drawn by rumors of a revolution to rival the religious upheaval of Martin Luther's Reformation, traveled to Poland to seek out Copernicus. Two years later, the Protestant youth took leave of his aging Catholic mentor and arranged to have Copernicus's manuscript published, in 1543, as "De revolutionibus orbium coelestium "("On the Revolutions of the Celestial Spheres")-the book that forever changed humankind's place in the universe. In her elegant, compelling style, Dava Sobel chronicles, as nobody has, the conflicting personalities and extraordinary discoveries that shaped the Copernican Revolution. At the heart of the book is her play "And the Sun Stood Still," imagining Rheticus's struggle to convince Copernicus to let his manuscript see the light of day. As she achieved with her bestsellers "Longitude" and "Galileo's Daughter," Sobel expands the bounds of narration, giving us an unforgettable portrait of scientific achievement, and of the ever-present tensions between science and faith. Description: An unmarked copy with lightly bumped corners.